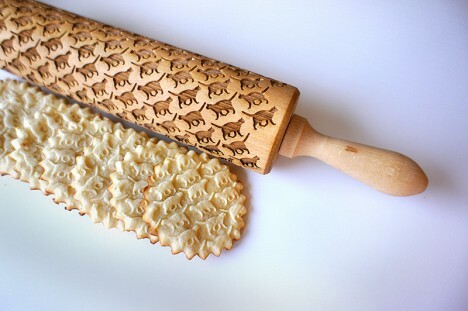 Laser engraving wraps all the way around these clever and customizable pins, creating anything from robots and dinosaurs to mazes and words to liven up your edible creations. 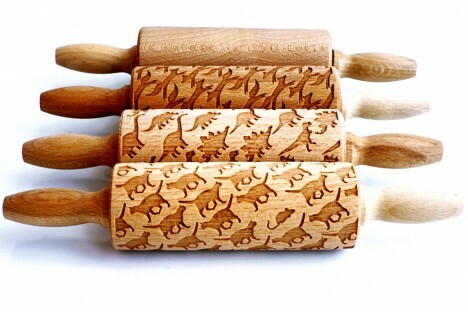 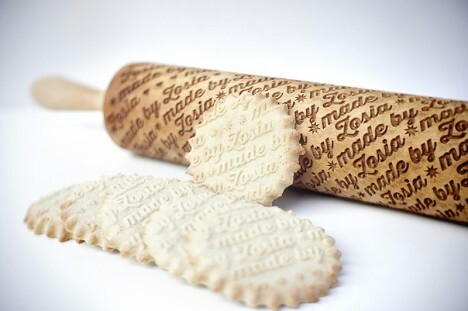 In addition to animal, geometric and typographical themes, Valek Rolling Pins offers fully-custom options as well as designs sorted by holiday and season, including Christmas, Valentine’s Day and Mother’s Day. 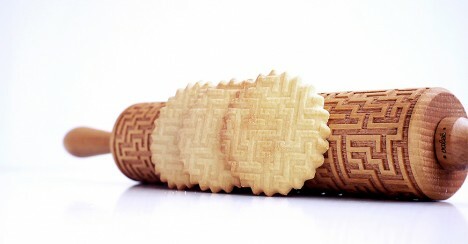 The pins are placed on a rotating spindle and then laser-engraved with a choice of patterns, the process leaving the wood char-darkened in the resulting voids against the lighter starting surface. 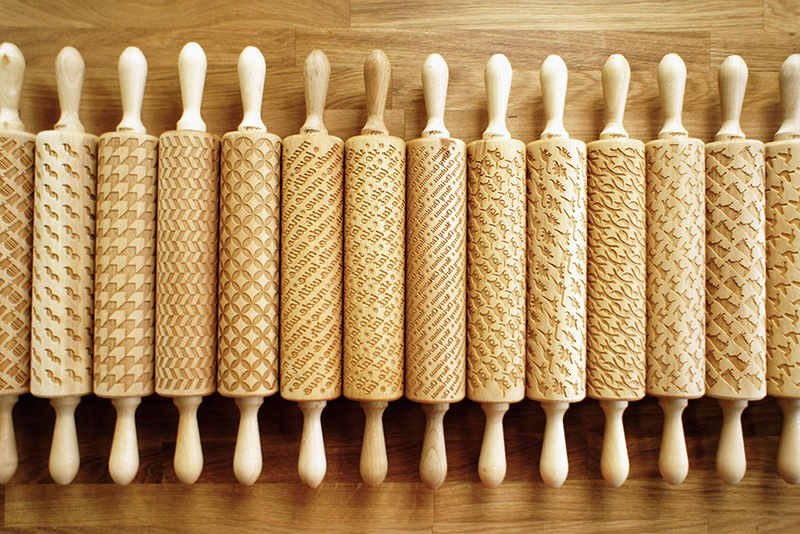 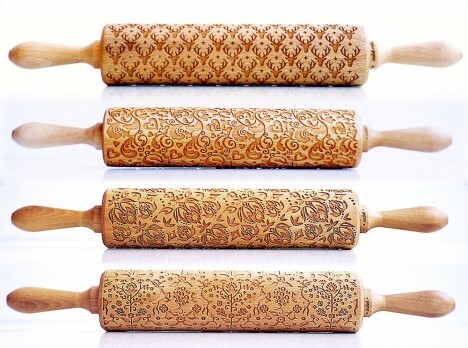 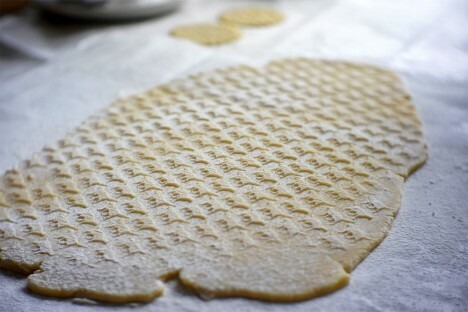 Aside from the appealing marks they make on dough for cookies, pies and otherwise, the patterns also add a display dimension for those who keep their rolling pins visible when not in use. 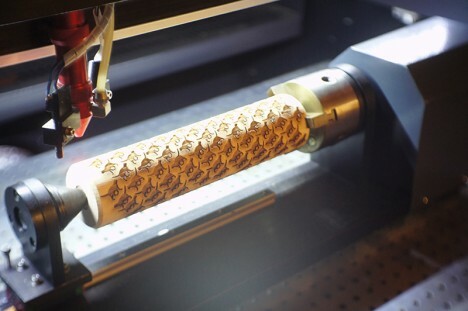 In addition to the cute effects in this case, this array of options is also a good reminder of the non-standard creative possibilities for laser-etching technologies.